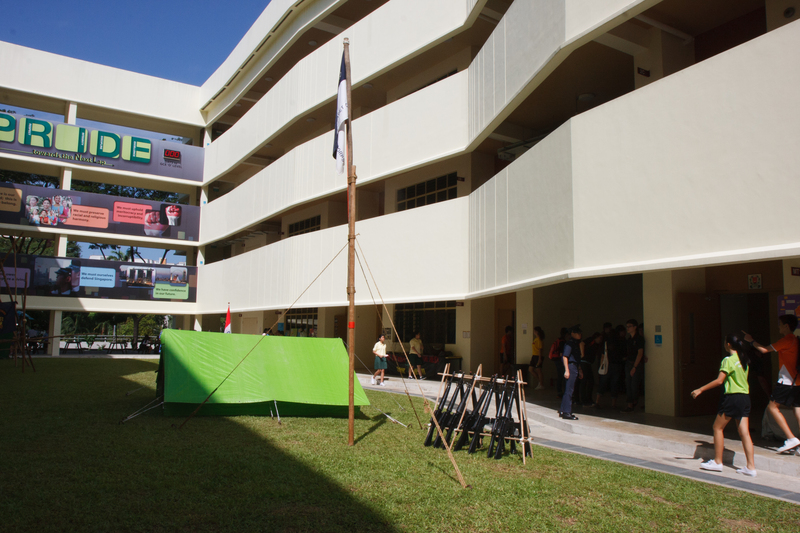 The annual CCA Fair was held to showcase the different CCAs available in Jurongville Secondary School and let the newly joined secondary 1 students have an overview of what are the CCA being offered to them. The NPCC unit was involved in this event as part of the showcase. 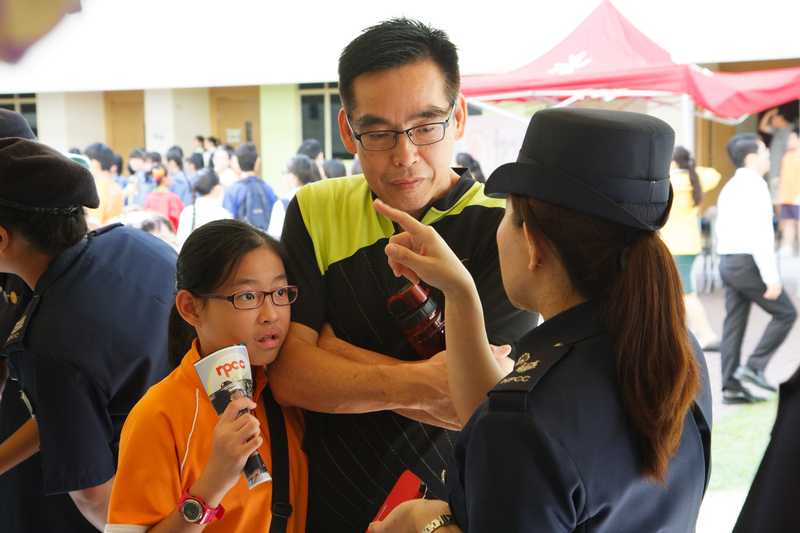 Once again, we are glad to have the support of Jurong East NPC (Neighbourhood Police Centre) whom rendered their help in setting up of booth to attract parents and students. 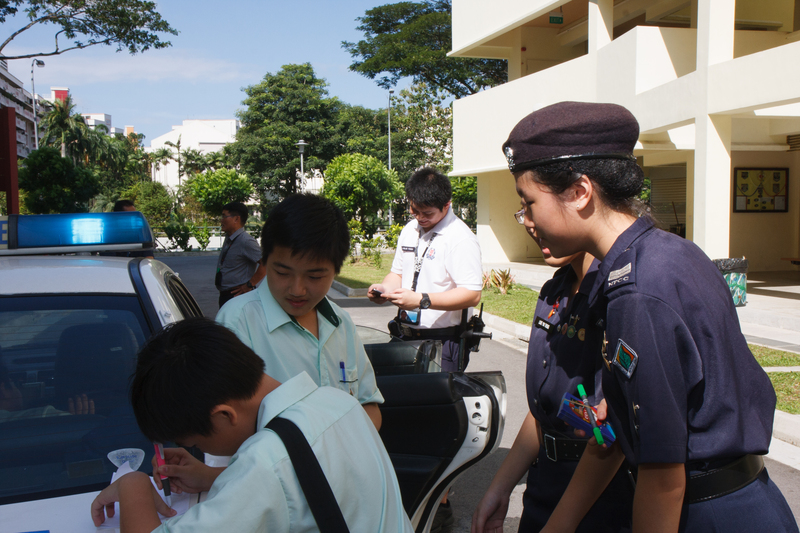 Jurongville Secondary School NPCC Unit would like to thank all Officers, Instructors and most importantly, all the Cadets whom were involved in this CCA Fair directly or indirectly. This event was a success because of the teamwork and support exhibited by each individuals. Special thanks to the instructors whom spent time setting up the flagstaff and tent pitching which stands up to wow the spectators. 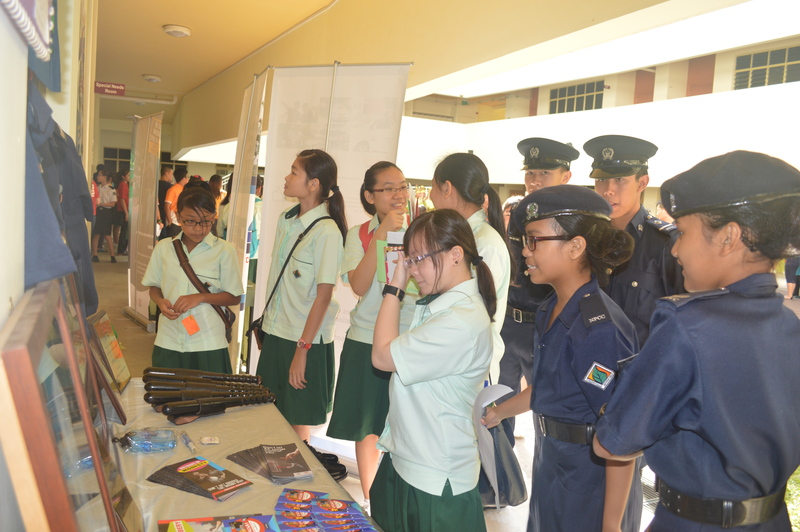 Not forgetting the Cadet Leaders and Cadets whom set up the booth, manned the booth and explaining about NPCC to the parents and students. Great job done, everyone.